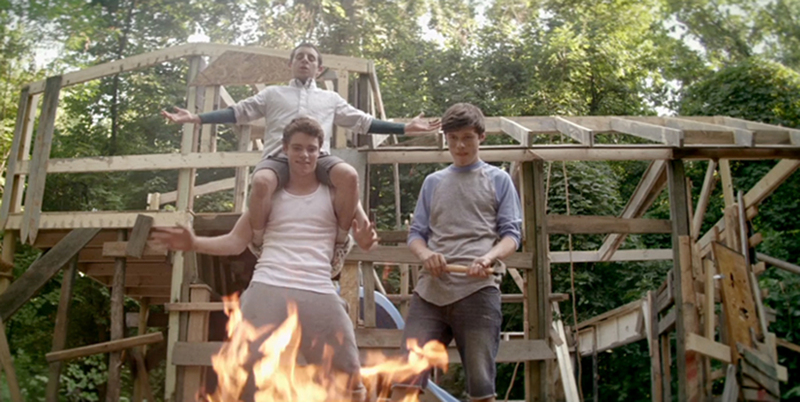 Joe is standing on the brink of adolescence, and sick of the way he is treated by his sarcastic father. 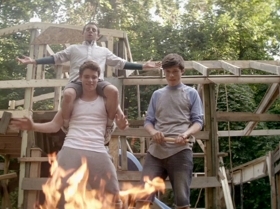 Along with his best friend Patrick and local weird kid Biaggio, he heads off into the woods to live life by his own rules. Plans to become masters of their own destiny are complicated by snakes, girls, and concerned parents, as local police are enlisted to track the teenagers down. With excellent performances from the relatively unknown teen cast, and some pitch-perfect comedy from American TV stalwarts like Nick Offerman (Parks and Recreation), Alison Brie (Community) and Megan Mullally (Will and Grace), The Kings of Summer promises to be the feel-good hit of the season. Tender characterisation, good performances and fabulous deadpan humour for Nick Offerman.